On Thursday, November 6 at 07:35:49 UT a Dnepr rocket carrying the primary payload Asnaro-1 and four microsatellites was launched from Dombarovsky near Yasny. Kosmotras report all spacecraft have been inserted into their target orbits. 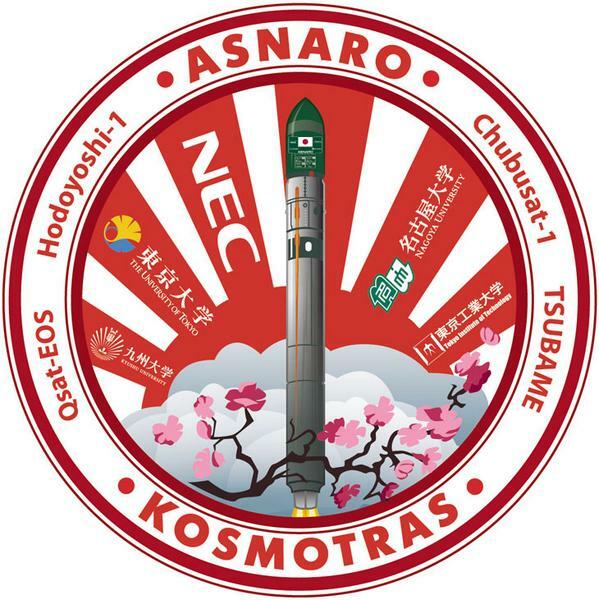 – QSAT-EOS (Tsukushi) an AX.25 GMSK payload has been reported but the frequency is unknown. Signals have been received from both ChubuSat-1 and TSUBAME. Finally, close to the accomplishment of our long-awaited event – the launch of the spacecraft DX1 Tuesday, July 8. We would like to ask for help to all radio amateurs who are interested in receiving signals spacecraft. Invite you to participate in the “catching” our satellite immediately after the start. Start will be at 19:58 Moscow time from the Baikonur cosmodrome. Based on the parameters of the orbit, its separation from the upper stage and the inclusion happen over Eastern Europe, and it will return to Russia after only a few turns of a few hours from the Far East. Therefore, our MCC in Moscow will hold the first session the next day. Beacon satellite broadcasts in amateur radio frequency, so everyone will be able to hear it before us. Moreover, such aid, we need to clarify and confirm its orbit performance. Therefore, our gratitude will be backed up souvenirs for the lucky hunters from around the world. On his website Dmitry Pashkov UB4UAD reports transmissions on 435.215 MHz and 435.265 MHz from the Russian Aist microsatellites developed by a group of students, postgraduates and scientists of Samara Aerospace University in cooperation with TsSKB-Progress. 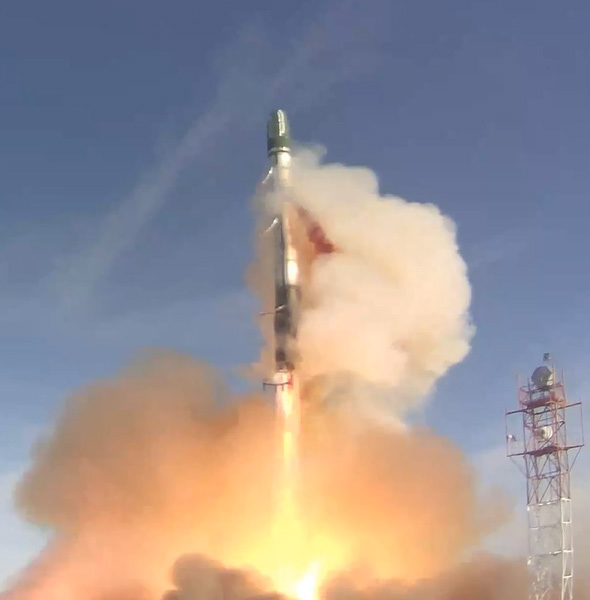 Aist 2 (RS-43) on 435.215 MHz was launched first on a Soyuz-2-1a with the Bion-M 1 satellite on April 19, 2013. Aist 1 (RS-41) on 435.265 MHz launched later in the year on a Soyuz-2-1v Volga on December 28, 2013 . 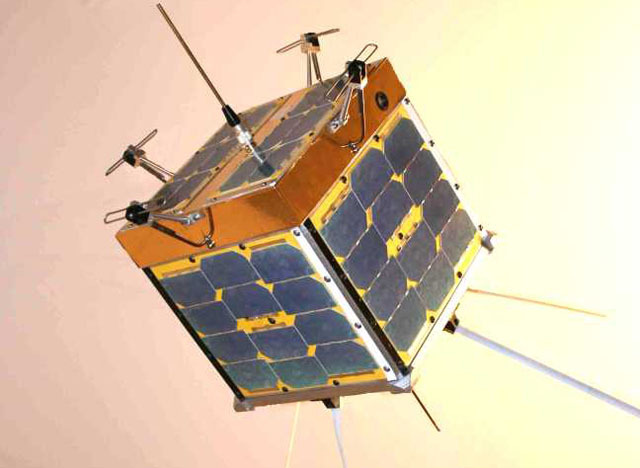 Since January 3, on board small spacecraft “Stork” at a frequency of 435.215 MHz and 435.265 MHz. are broadcast New Year’s greetings from the band “Samara Space Center.” The campaign will last until January 15, 2014. Skybox Imaging was founded in 2009 by radio amateur Julian Mann KI6OSO along with Ching-Yu Hu, Dan Berkenstock and John Fenwick. 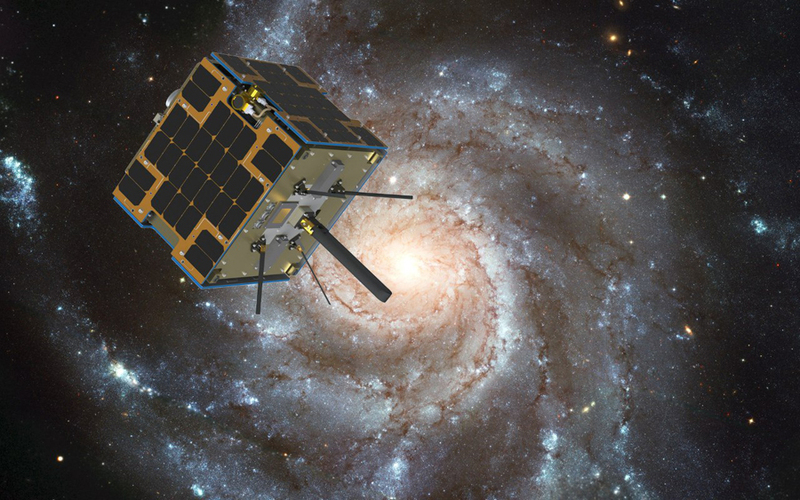 Many of the Skybox Imaging executives worked on CubeSat projects while students at Stanford University under Professor Bob Twiggs KE6QMD. 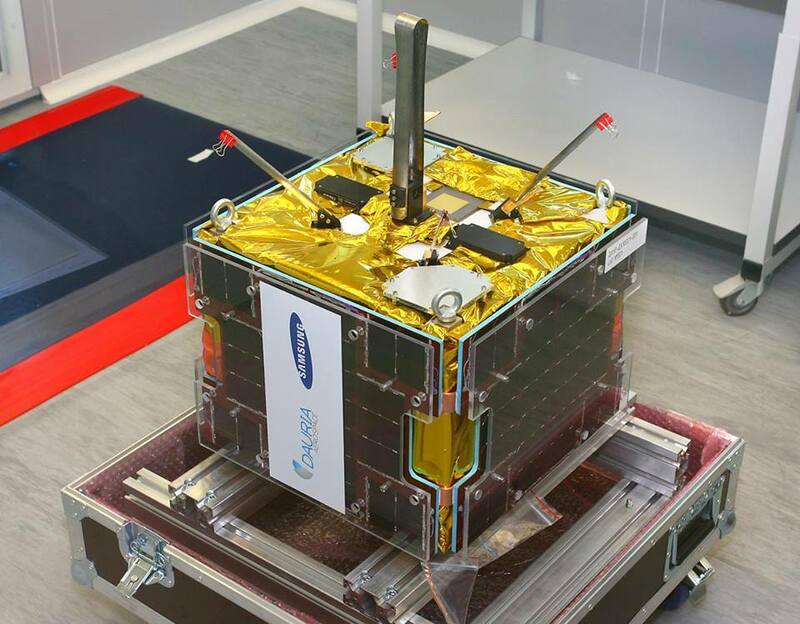 SkySat-1, the first in a planned constellation of 24 microsatellites, was launched on a Dnepr from Dombarovsky near Yasny on November 21, 2013. It is believed to be the smallest satellite ever flown that is capable of capturing imagery at better than 1 meter resolution and the 1080p HD camera can capture up to 90 second video clips at 30 frames per second. The University of New South Wales (UNSW) has declared its undergraduate student amateur radio satellite project BLUEsat is complete and ready to be launched into space. As the official final green light came it was to have a stratospheric balloon test flight near Wagga Wagga in New South Wales. Talks continue on a space launch date. 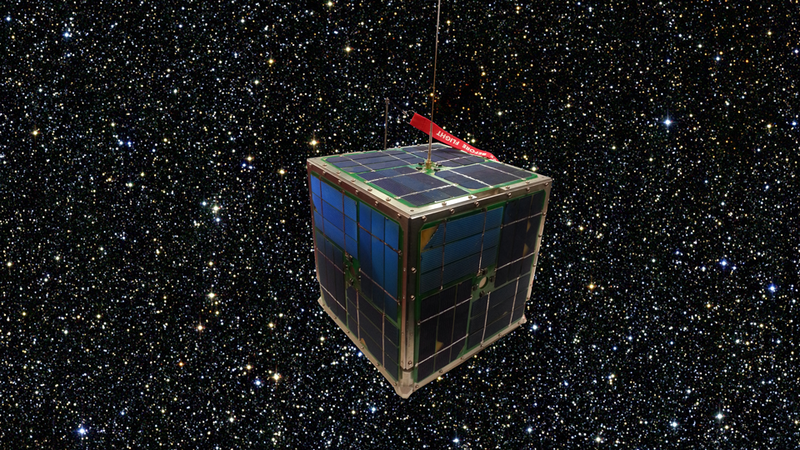 BLUEsat, a 260mm cube weighing around 13 kilograms, will carry a flight computer with transmissions to include a beacon and amateur packet radio using the AX.25 protocol in a “mode J” VHF/UHF configuration. Magnets will passively stabilise the satellite and align it with the Earth’s magnetic field, and it will be controlled via a dedicated communications groundstation VK2UNS at UNSW is equipped with a Yaesu FT-847 satellite transceiver. 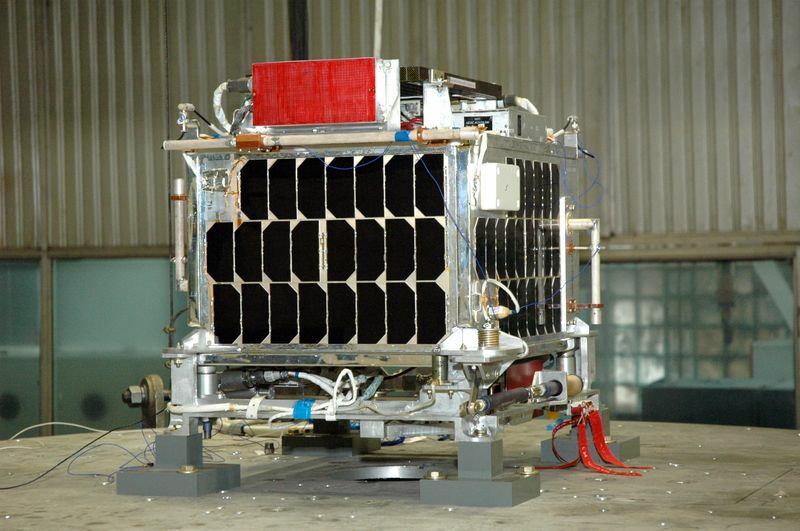 It is hoped BLUEsat will be placed in circular orbit at an altitude of around 750 km that will take it over the poles. At this altitude, the satellite will travel around the Earth at a rate of around once every 90 minutes. Once in orbit BLUEsat will be a digital amateur radio satellite, which means that voice and data files can be uploaded to it by any amateur radio operator in the world over which the satellite passes. 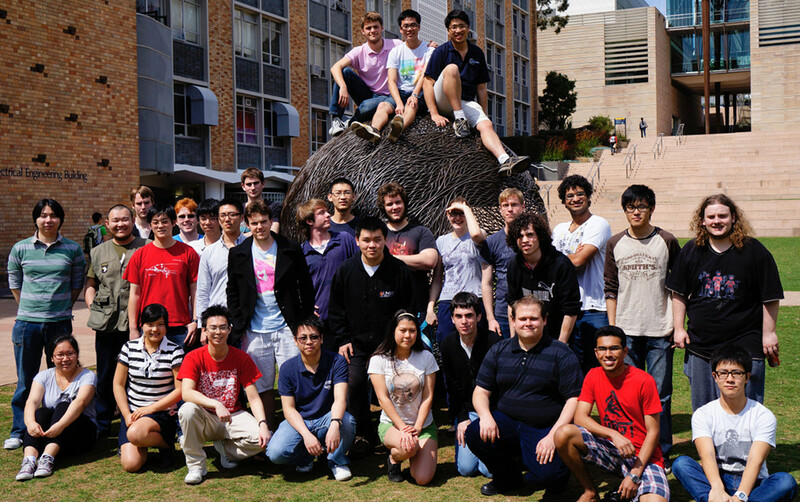 Students from UNSW will continue to be the primary operators of the satellite while it is in orbit and continue the educational focus throughout the full satellite lifecycle. Through sponsors helping to pay the bills the student-led project has given a space experience that includes VK2UNS the ground control station. The KiwiSAT website reports that all hardware is complete and the KiwiSAT micro-satellite is operational. Final integration to launch ready awaits completion of command and control testing. 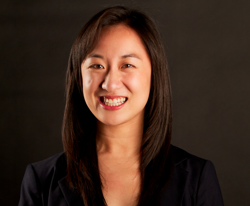 They say software is being developed and launch negotiation is underway in New Zealand. Earlier reports indicated that $1 million was required for a launch to a 700 km orbit.